The range of silentblocks, cushions and ball-and-socket joints covers the whole gamut of Korean and Japanese car makes, and includes all popular European and American makes. 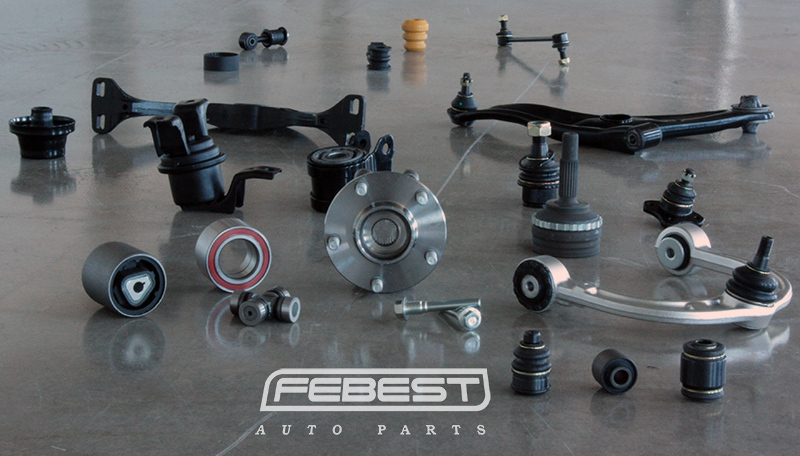 FEBEST offers highest-quality automotive parts, which are ISO 9001:2008 certified and have a low reclamation rate. All our products are regularly tested in FEBEST own research centre as well as in independent laboratories. We offer high quality products at affordable price. Our analysis department reveals weak spots in new cars at a moment’s notice, which allow us to react promptly to the market needs. FEBEST uses the innovative OEM-based product development approach. The range of products includes a large amount of unique automotive parts that are not originally manufactured separately from the node point, e.g. the silentblock separately from the arm. Mechanical-rubber goods are manufactured considering the tough climatic conditions of the Northern countries and the damaging effect of road treatment chemicals – this approach substantially increases the life of parts. The rubber formula is based only on natural rubber with the use of additives that allow the parts to operate under extremely low temperatures. Hydraulic silentblocks and cushions are filled with synthetic oils with additives allowing the parts to operate in the temperature up to - 45°С. The long-term analysis and data collection from car manufacturers has resulted in the unique online catalogue, which allows choosing a part by the OEM number as well as the car make and the size of the part itself. From the year 2015 Febest production has been represented in the universal aftermarket parts catalogue TecDoc. FEBEST - is highly demandable production, multi-level affiliate program, well-established logistics worldwide, warranty and qualified technical support.